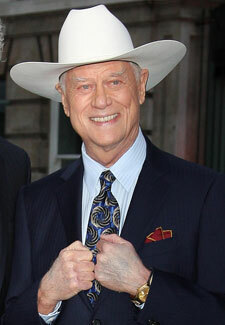 We were saddened by news at the weekend of actor Larry Hagman’s death. Larry, who is of course best known for playing oil tycoon JR Ewing in Dallas, passed away on Friday from complications due to throat cancer at the age of 81. Just over 32 years ago, 24 million people in the UK watched the show to find out who had shot JR, and the plot has gone down in history as one of the most memorable ‘where were you when’ TV moments ever. Larry is also famous for his roles in I Dream of Jeannie and, more recently, Desperate Housewives. The revamped series of Dallas, which recently ended on Channel 5, is available to buy on DVD now.